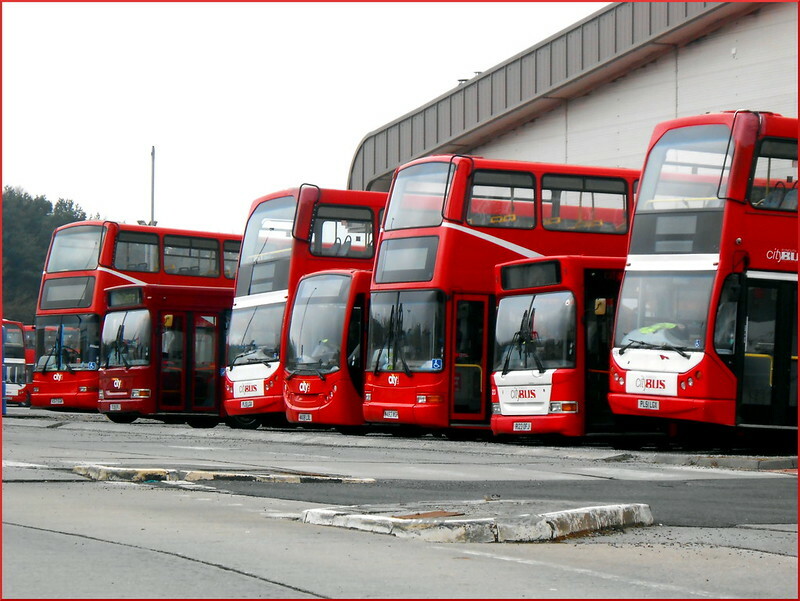 Plymouth Citybus are now making progress preparing their latest double deckers for service. This photos from Tom Michaels shows 431 and 436 both repainted into swoops sat in what is generally known as Death Row along the side of the workshops at Milehouse. Clearly none of these buses are actually on death row properly! otherwise known as death row, but since the raised depot was closed and the day shift fitters moved to wot was the o/v shop, that is where they park buses now for engineering work to be done. lets hope Darts 78 and 74 are soon in the engineering line,78 has horrendous vibration at tick over and 74 is nearly as bad - not good for passenger comfort. Has anybody else noticed this? Haven't had 78 in a while, though I had 74 a few weeks ago and the vibration at idle is truly horrendous! Goes right through your back and you can't dare lean against the windows - they vibrate like hell! Haven't had 78 in quite a long time, though 74 is definitely the worst offender for idle vibrating I've had. Had 78 on the 1720 from Royal Parade 21 yesterday, the idle vibration is dreadful! Extremely uncomfortable, really needs to be sorted out. 74 is pretty bad too. Driver Mike Hudson has thismorning informed me that what we used to call 'Death Row' is now a space for buses to be parked when the Engineering crew have work to do on them. It's a bit like a 'waiting room' for buses really! To see the reg. plates clearer, I really do recommend viewing the original size photo (links below). Just click the link, then click the picture to zoom it in. Fleet numbers didn't come out brilliantly, though W483WGH is definitely 431 and X571EGK is definitely 436.
http://farm9.staticflickr.com/8085/8583581178_19d19da7ef_o.jpg (can just about make out 431), you may need to tilt your screen slightly if you're using a laptop. Any news on the new deckers?